With increasingly busy day to day lives, families find it more and more difficult to spare the time to come together. So this Easter, we are preparing a Stellar Roast that will leave both family and friends craving for more Sunday meal reunions! …Ready to go through all the motions that will help you pull off an Easter roast with the wow factor? First things first – Preparation is the key to a stress-free, professional family meal. A good trick is to make a shopping list the week before your shop, and then in the days between you can add to it if you realise you missed something out. Shopping all done and dusted, Easter comes and it’s time to start preparing. Make sure you start well in advance to give the meat enough time to marinate properly. Whilst vegetables may not usually be the favourite on the menu, for an Easter roast they play a key role. Already dreading all that chopping? 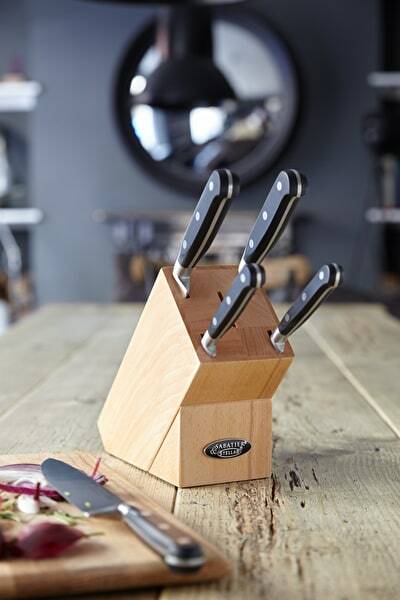 Our Stellar Sabatier block set includes five different knives that cover all bases and feature perfectly sharp blades, making for a seamless cutting experience. Prep done, let’s move on to cooking! Place your meat into the Stellar Roast and Rack. We love this product as it truly enhances the roasting process: the raised removable rack creates a gap between the pan and the meat, meaning the heat can circulate freely in your oven and your meat gets nicely cooked all round without having to regularly turn it. While the meat roasts away, Stellar 1000 Deep Saucepan Set will take care of your potatoes and veggies. It includes 16, 18 and 20cm saucepans so it can cover all the boiling no matter how big the family is! Its hot forged base gives a quick, even heat distribution so you can be done in no time and its classic look will suit both traditional and more modern kitchens. When the recipe at hand is long and elaborate and you already have plenty to think about, it is important to have the peace of mind that your kitchen already has all the perfect cooking equipment. When your meat is cooked to perfection, you can remove the rack and pop your potatoes or vegetables onto the non-stick roaster, where they will be coated in the meat juices. This step will instantly add flavour and allow whatever is roasting to reach a delightful golden brown hue which will be sure to impress. While your sides get all nice and tasty, don’t forget to wrap the meat to ensure it stays nice and warm. 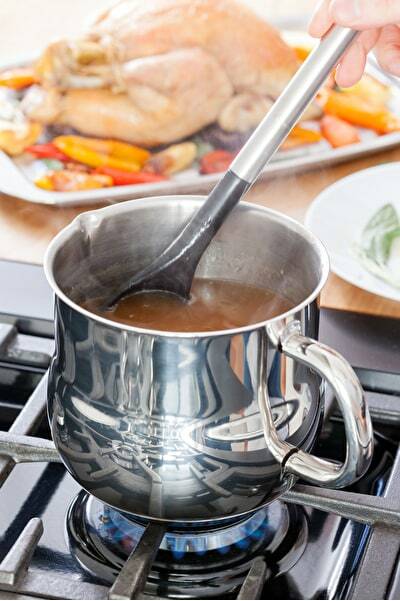 Also in the Stellar 1000 Deep Saucepan Set is a handy sauce pot which is perfect to make a gorgeous tasting gravy, which will be the ultimate finishing touch for your meal. As you take things off the hob and out of the oven, make sure you have a Stellar Double Oven Mitt at hand – it is quilted with polyester padding for optimal thermal resistance, so it will not only complete your professional home chef look but also ensure your hands and arms make it to the end of the recipe without nasty burns! Everything is finally cooked, so the most exciting (and arguably most important!) step is left: the carving of the meat. Our Stellar Spiked Carving Tray will make a significant difference; the five spikes at the base of the tray will hold the meat in place to allow you to truly carve in the most professional and nonchalant way with your Stellar Sabatier knives. You can also serve straight to the table in this tray, meaning all the juices are preserved and, most importantly, no precious time is lost… because let’s face it, all we want after all this cooking is to sit down with our family and friends and savour every single moment of our Easter meal with them. 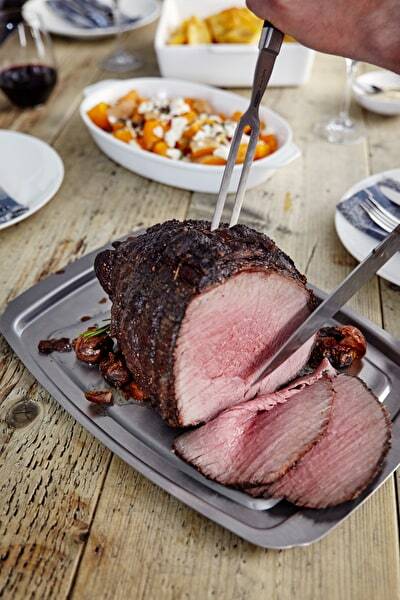 So there you have it – your Easter roast made simple with Stellar. Our products bring high quality and impeccable performance into your kitchen, ensuring each meal is cooked to the ‘home chef’ standard we all aspire to. 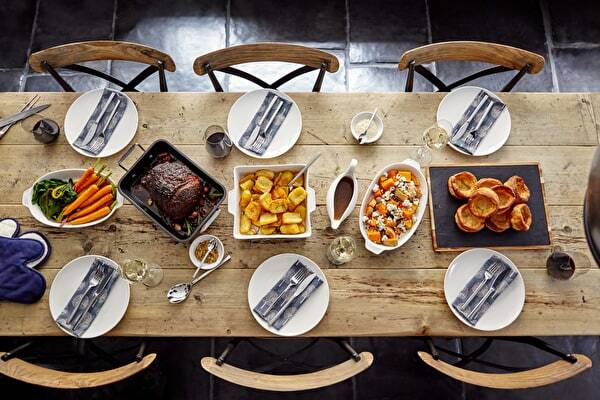 Bringing family together with a faultless Easter Roast this spring has never been so easy.